* 6 Bight Turk's Head with herringbone interweave. Precut strings to plait 4. 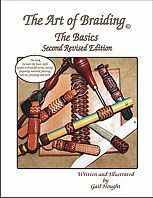 "The Art of Braiding, The Basics - Second Rev. Ed." 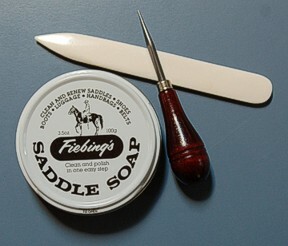 Items the braider will need to furnish: tape(cloth or masking), scissors, finishing stick (see suggestions in book). This set is for the person that has The Art of Braiding, Basics - Rev. Ed.